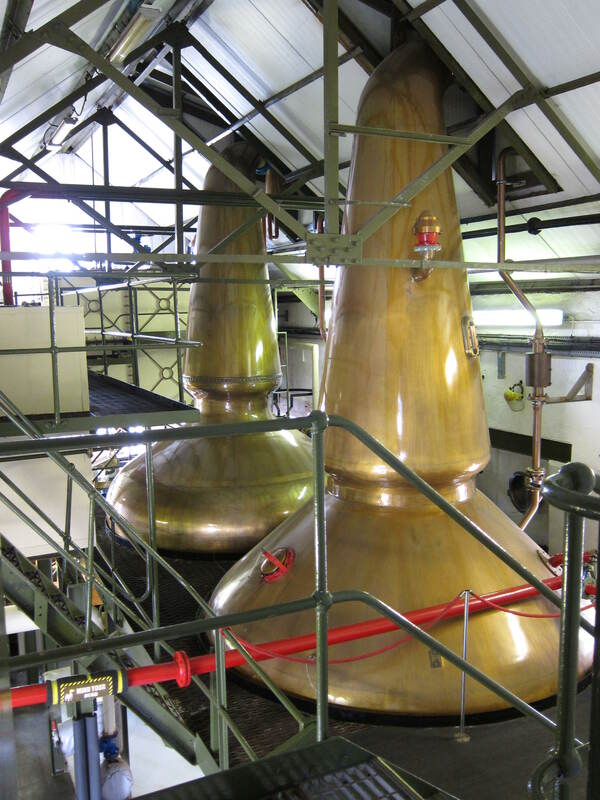 This would be my third entry on Ardbeg, so I’ll skip the talk on the ownership periods and the different nuances of those periods which has earned this illustrious distillery it’s chunk of fan-love. This one is very creatively called Ardbog, and seriously the people behind the marketing of the modern bottles deserve an award. From the tiny but lovable Jack Russel icon on the rear labels (Shortie RIP, his successor also named Shortie ran away apparently, and now Ardbeg is dog-less) to the whimsical bottle designs for Corryvreckan and classic look for Galileo, I love the humour and design on these things. 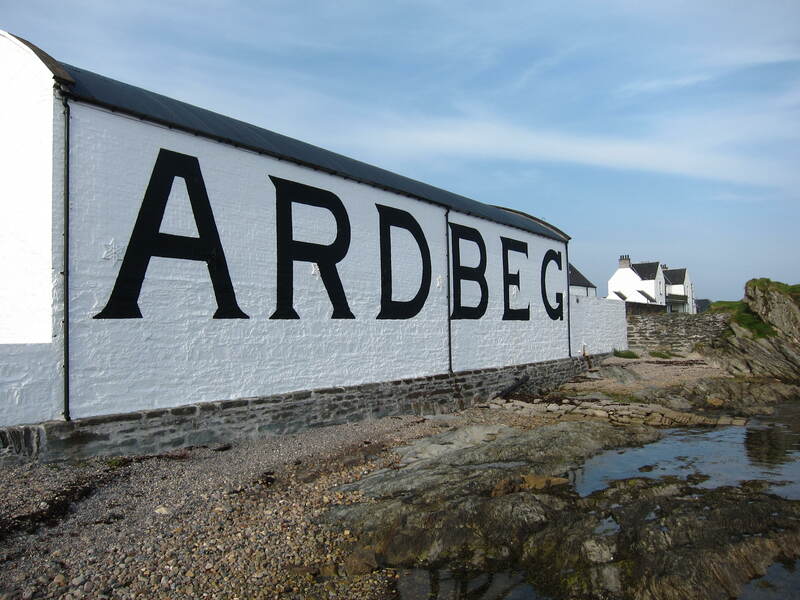 So, Ardbog is a continuation of Ardbeg’s strategy to show off particular facets of Ardbeg plus quirkiness on top of the standard range consisting of the 1o, Uigeadail, Corryvreckan. So from year to year we get Ardbeg plus in the form of Supernova, Galileo commemorated Ardbeg going into space (also had Marsala aged Ardbeg), almost peatless Ardbeg in Blasda. This one was released on Ardbog day, 1st June 2013, which brought people together, play various sports and (ingeniously) drink more Ardbeg. It is also 40% ex-Manzanilla Sherry and the remainder ex-bourbon. 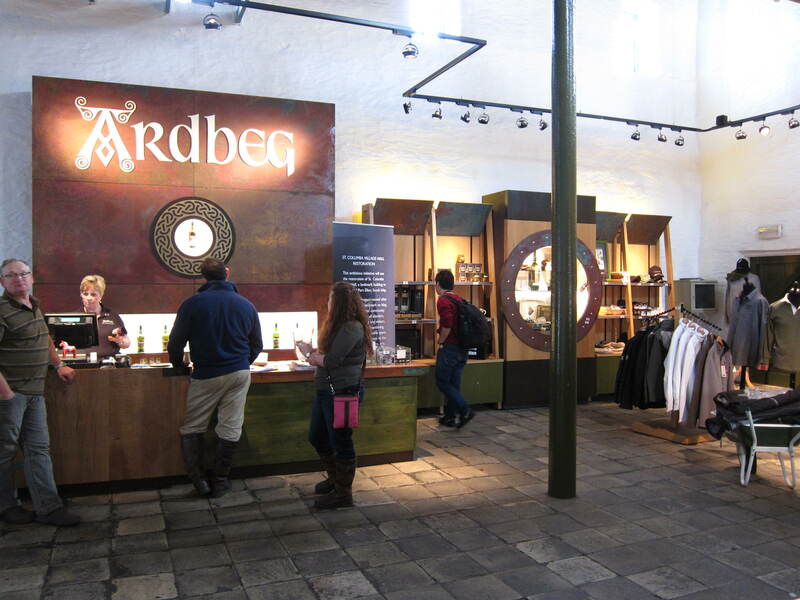 Great time to show off pictures from Sept 2014 here, if you visit Ardbeg in the future be sure to go for the Across the Decades tour which at 35GBP is pricey but worth it, see the photo below on what you’ll be drinking, and also be absolutely sure to eat at the Old Kiln Cafe too. An illustration of the days of peat firing. The stills are identical. 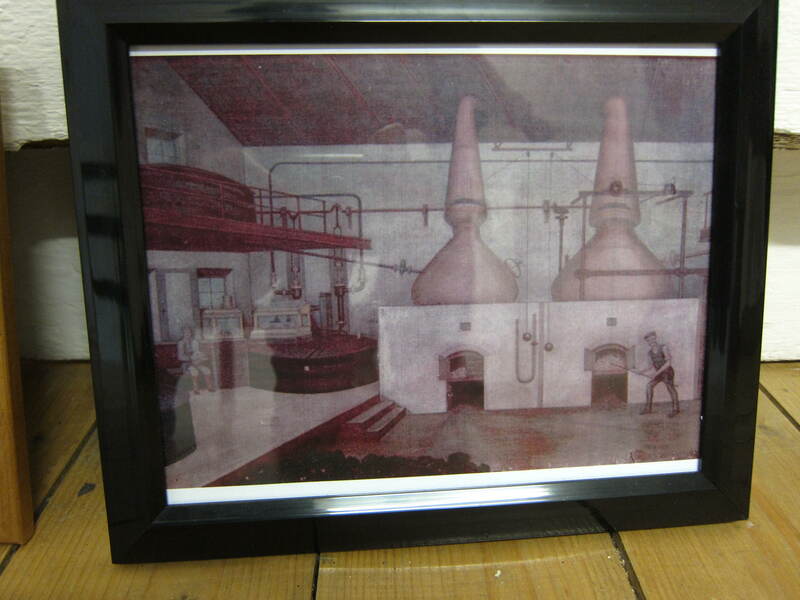 The stills, pinched waist and purifiers hinting at what was intended for the spirit. A sample from every decade from the 70s onwards. New make available too. Nose: Thick and punchy. The bog in Ardbog sounds right: Heavy wet earthy peat and tarry soil after a heavy rain. Peat oil even? Even that cannot hide the exuberance of the spirit though, it certainly has some new makish scents but it’s not a bad thing in this nose. Smells like someone is trying to set wet compost on fire. Also the yeasty dry sherry is quite apparent (roasting nuts, burnt caramel) and goes excellently with the earthy peat. Muddy brine collecting in rubber boots. Ripe seaweed at the high tide mark. Palette: Great depth. 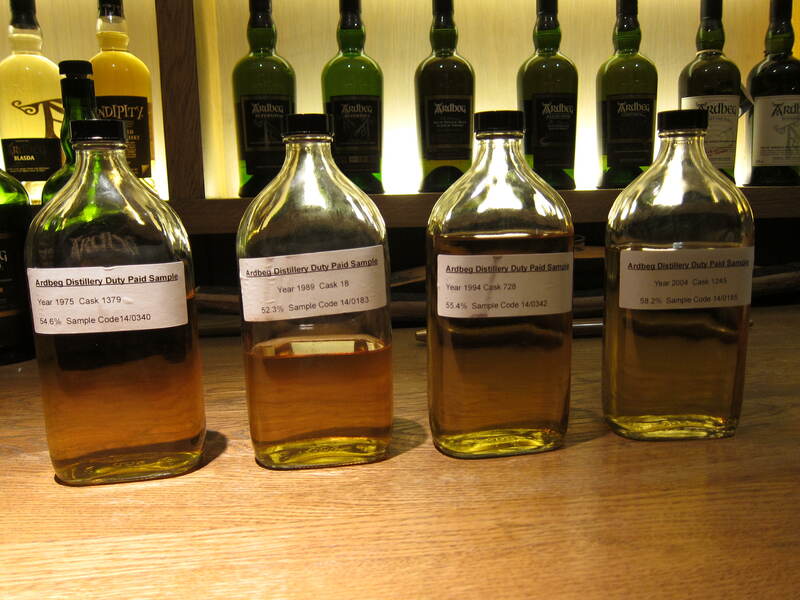 Dry, lots of peat smoke, and maritime elements first – seawater earth and tar. But a moments later it softens quickly with the emergence of dried apricots, dried lemon slices, and golden raisins. Very ‘grippy’. Finish: Smoldering seaweed and brine. Hmm.. pencil shavings. 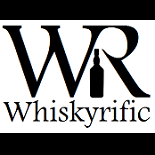 This entry was posted on March 4, 2015 by Whiskyrific in Ardbeg and tagged Ardbeg.